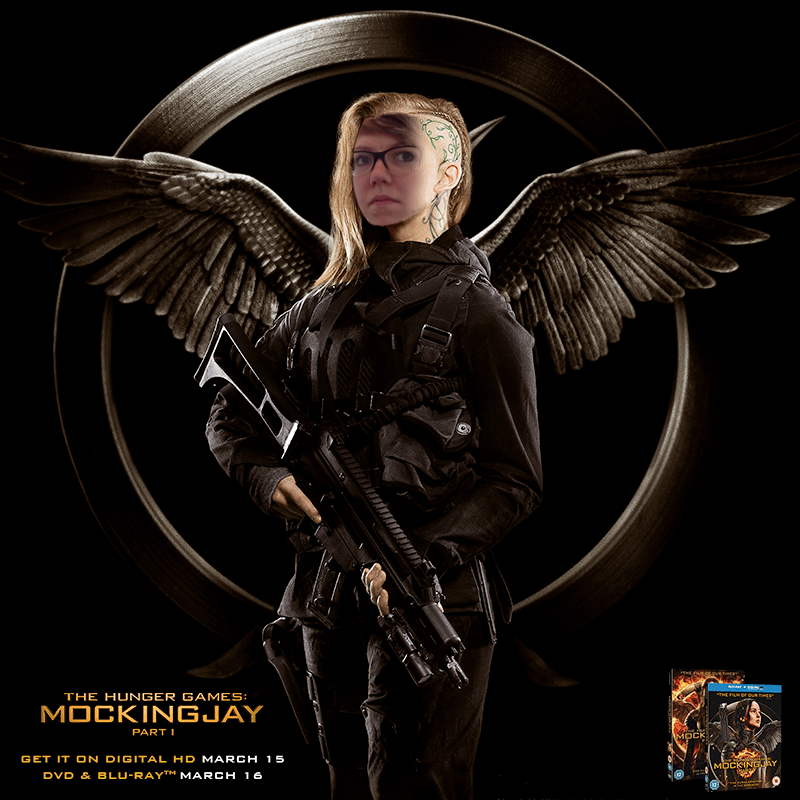 As I'm sure many of you guys know, Mockingjay Part 1 is releasing on DVD and Blu-ray here in the UK next Monday (March 16th), and we can't wait! 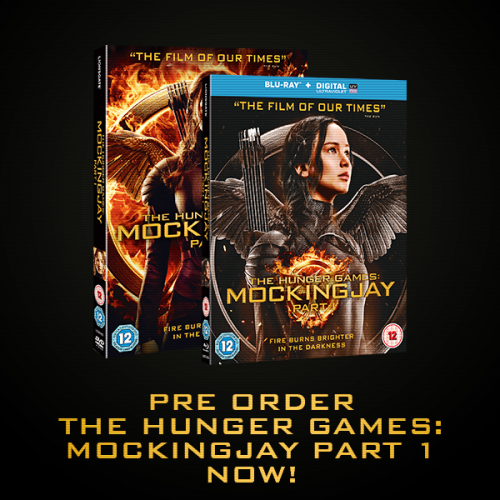 Lionsgate UK have launched some awesome new online promotions to build-up to the release. Head over to Facebook and try it for yourself! In addition to this, a fantastic new official Tumblr blog has launched, featuring a series of videos and images recapping the story of The Hunger Games so far. Click here to check it out. Finally, @HungerGamesUK on Twitter are running a live tweet promotion, celebrating the digital release of Mockingjay Part 1 on March 15th, including the first two movies as well. 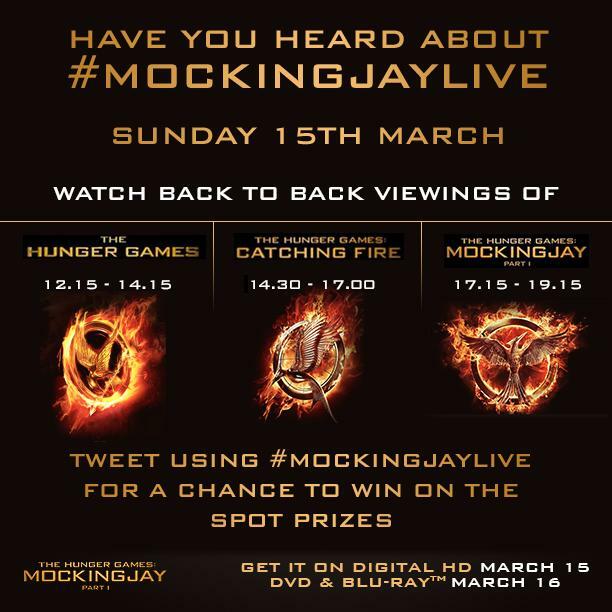 Tweet along using the hashtag #MockingjayLive at the times below (GMT) for a chance to win prizes! You can pre-order the movie on iTunes now ready for the live tweet.